Looking for a unique gift, but not sure what to get? Skip the gift card in favor of Disney Dollars! 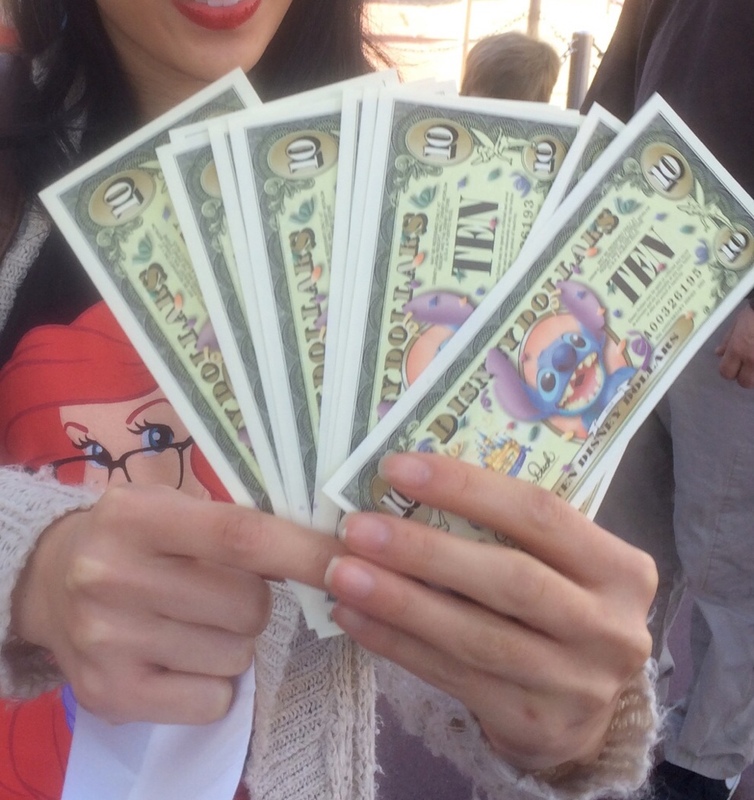 1) Disney dollars are accepted at restaurants and shops all over the parks. 2) They’re collectible! Each denomination may have a different graphic printed on the front or back. And they are updated every few years. The 2014 ones are brand new! 3) They do not expire and can be exchanged back for regular cash, if you don’t feel like keeping them. 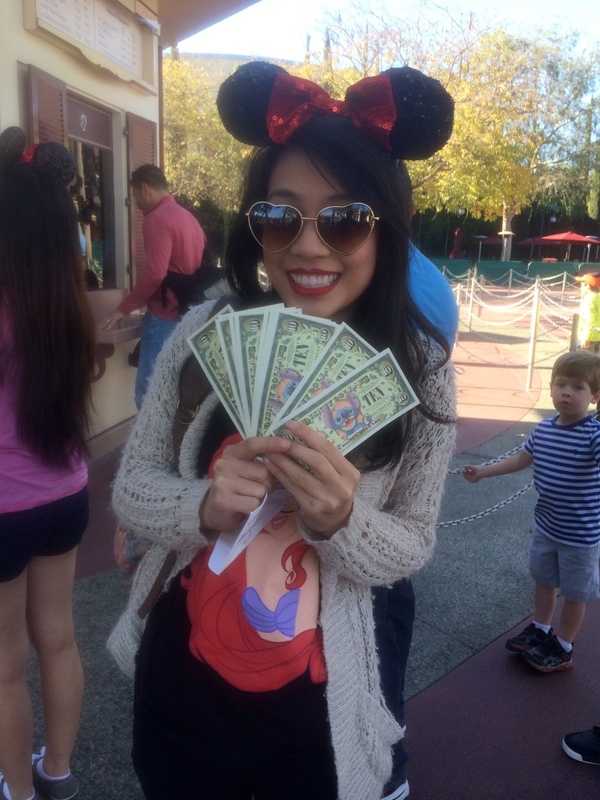 Plus, you should see the reaction on the cast members faces when you pull out a fat stack of Disney bills lol. It’s awesome. So where can you get some? You can find them at the ticket booths, at City Hall on Main Street in Disneyland Resort, and the Chamber of Commerce on Buena Vista Street in California Adventure. Yes, my sister and I have been gifted Disney dollars since we were little. I have a stack of bills in my underwear drawer right now!